It divides people, destroys careers, devastates friendships, and distracts churches from their God-given mission. But it doesn’t have to be that way. Jesus called His followers to unity, forgiveness, and reconciliation. He said peacemakers will be blessed. 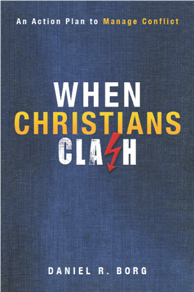 When Christians Clash provides practical strategies to manage conflict in redemptive ways and according to biblical principles.